So you finally made good on your New Year’s resolution (of 2015, eh?) and are learning about wines. Congratulations! There is a lot to learn, and drink. Here at Portoalities, we are well aware that we have barely scratched the surface ourselves. Nobody ever knows everything. 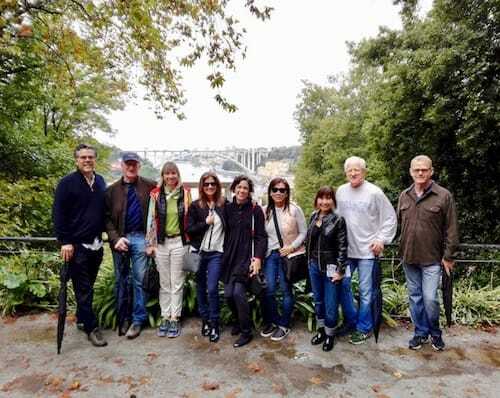 But in our Douro Valley tours, as I ramble on about Portuguese wine, different types of oak and mid-18th century politics, a question often arises: “But Pedro, what is Port wine?”. Today we are going back to square one. We will talk about Portuguese wine and Port wine, no prior knowledge required. Remember, there are no stupid questions. Let’s start? Portugal is a country with a very long tradition of wine production. There are several wine regions, protected by legislation. Each one has its particular climate, soil and other characteristics. Portuguese wine making is one of its main industries. 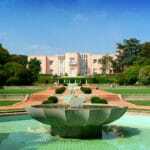 Of the country’s total 92,000 square kilometers (35,000 sq. miles), more than 2,000 sq. km (770 sq. 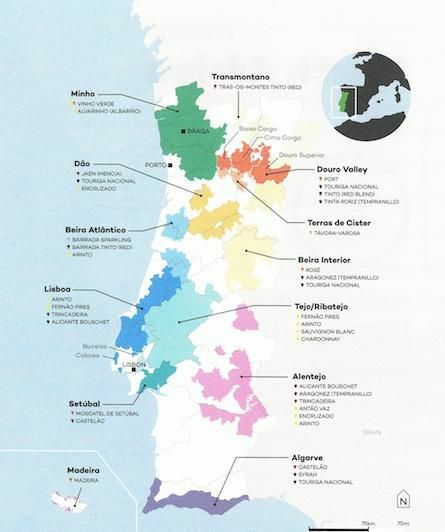 miles) are vineyards, making Portugal the country with more vineyards in proportion to its size in the world! 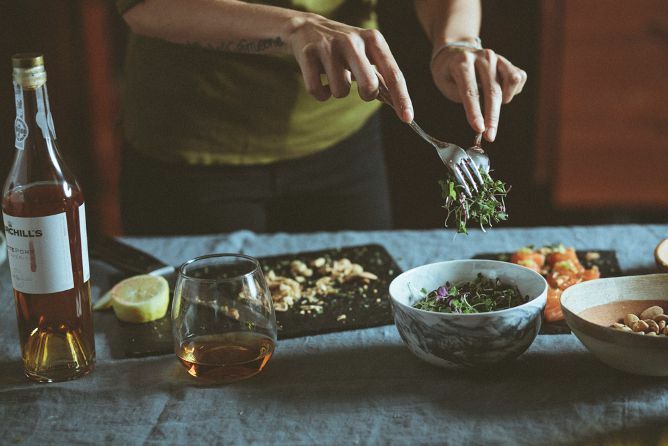 Boasting over 200 native varieties of grapes, Portuguese wine makers usually blend different grape varieties in the same wine, whereas the rest of the world produces a smashing majority of single varietals. This way, our wines become very well-structured and complex, since each grape variety contributes with a wide range of flavours and textures. 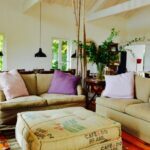 You will find perfect wines to accompany assorted occasions such as barbecues, weddings, pizza nights at home or even just sitting in the sun on a late afternoon. 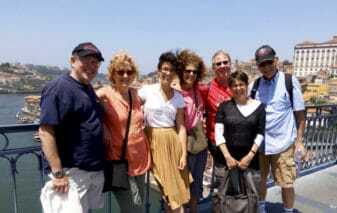 Portuguese wines are a world to be discovered, but there is world-famous style that was baptized after our city: Porto. 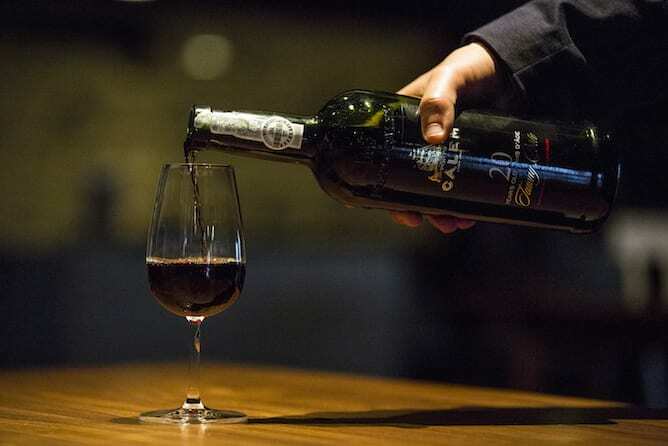 Basically, Port wine is a type of fortified wine made exclusively in the Douro Valley region, with native grapes only. Unlike still wines, the fermentation of Port wine is interrupted halfway by adding a 77% spirit, thus raising the alcohol level and keeping the natural sugars of the grapes. 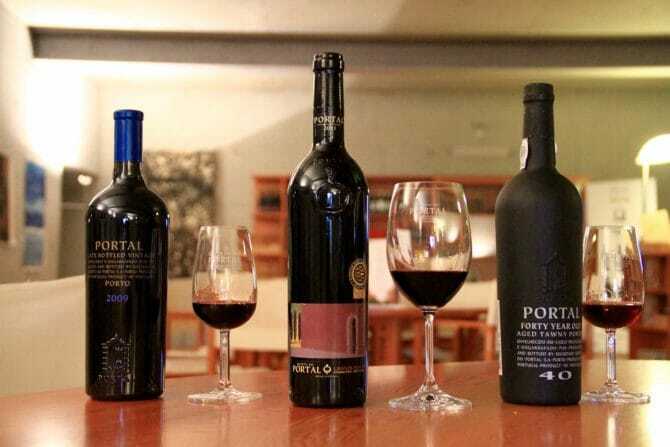 Called ‘Oporto’, ‘Port’, or in good Portuguese ‘Porto’, it is not like other Portuguese wines. 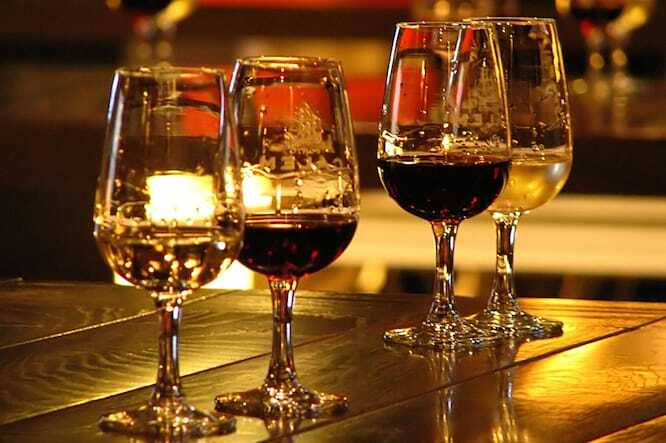 Port wine must follow a strict set of regulations to obtain the special protected certification of ‘Port’. They can be summed up in 3 key points: location, grape varieties and fortification. 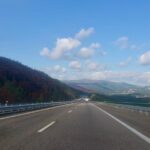 Start in Porto and travel East for about 80 km (50 mi) and you will find yourself in the land of dramatic hills and beautiful terraces – welcome to the Douro Valley! Although the region produces a lot of splendid still wine (Douro DOC), Port wine is its most famous product. 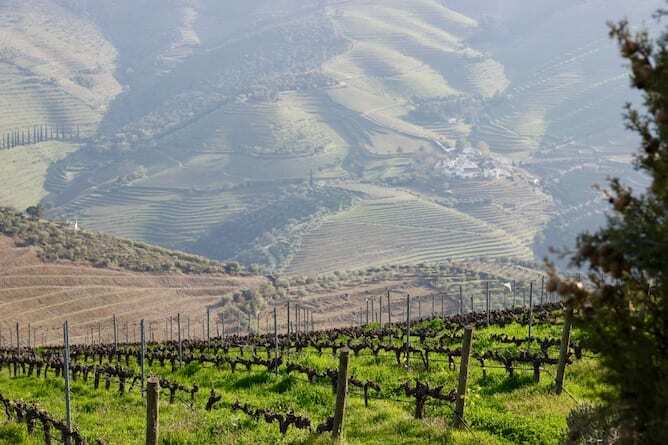 With freezing temperatures in the winter and “fry-an-egg-on-the-pavement” summers, along with very rocky soils, the Douro Valley is associated with vibrant red wines. The extreme heat leads to grapes developing a very high sugar content and thick skins, making very fruity, bold and deep-coloured wines. The Douro Valley is a geographical demarcation, with very well defined limits according to soil and climate. If you try to make ‘Port’ wine outside of the region, you will not be allowed to call it Port. There are hundreds of grape varieties with tongue-twisting names (try to repeat “Rabigato” really fast) that are native to the country, the most part growing nowhere else in the world. Although in some regions you can find Pinot Noir or Cabernet Sauvignon, the use of imported grapes is forbidden in Port wine. If you try to make ‘Port’ with a non-native grape variety, you will not be allowed to call it Port wine. 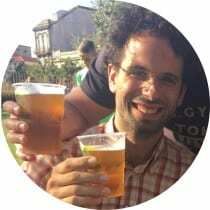 Fortification, or how is Port wine made? After the harvest season, usually in September, the grapes are taken to huge granite tanks for the smashing. 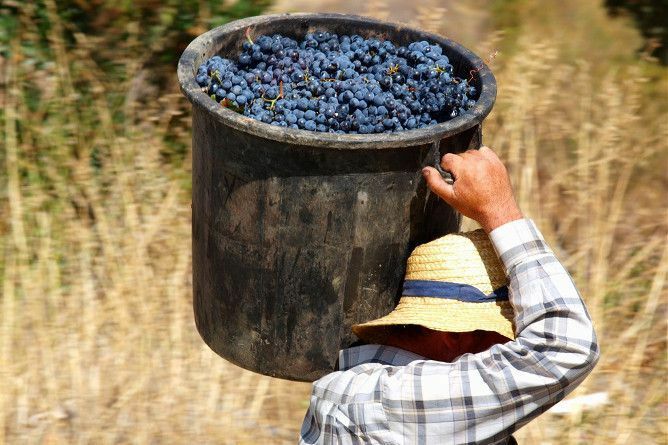 In Portugal tradition is king, and stomping (treading, or smashing) the grapes by foot is still the preferred method. After stomping the grapes, the fermentation process begins. Tiny bacteria called “yeast” breakdown sugar into alcohol. For a still (regular) wine, this process usually lasts one or two weeks until sugar runs out. This normally happens when the wine is 12% to 14% alcohol. In the case of Port wine, halfway through the fermentation process (usually 3 or 4 days after stomping), the fortification is made. Producers mix the wine with a grape spirit that is 77% alcohol, in a proportion of 1 to 5, which kills the yeast and stops the fermentation, raising the alcoholic level of the wine to 20% and conserving a big part of the natural sugars of the grapes. Never are sugars added to the wine. 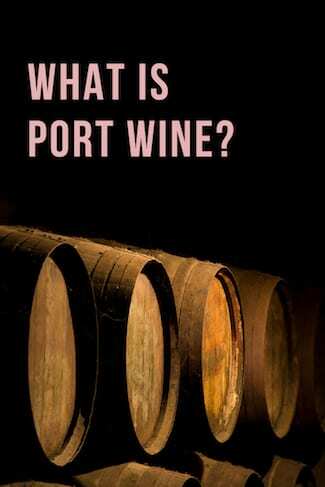 If you try to make ‘Port’ that is not fortified, and doesn’t have 18% to 22% of its content in alcohol, you cannot call it Port. There is not one single type of Port wine. There are several styles, or denominations. 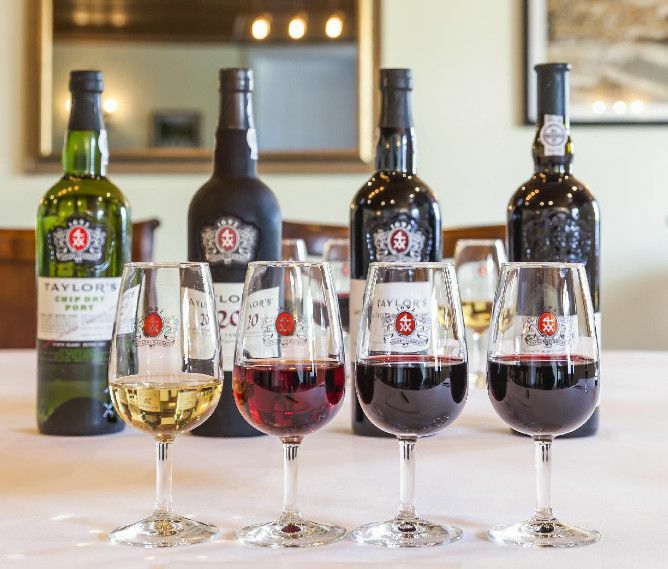 Ranging from the innovative whites and rosés to the most traditional reds, let’s break down the several styles of Port wine. It’s Port wine made with white grapes. Usually it’s aged for 2 or 3 years only. As a 21st century innovation, it is regarded by most of its critics as “not real Port” or even “Port wine for those who don’t like Port”. Also called Pink Port, Rosé Port is made with red grapes, whose skins have been filtered early during the fermentation process, and it ferments at low temperatures. It is aged for 1 year only, in stainless steel vats, before it’s put out in the market. It is best appreciated chilled, around 8°C (47°F). 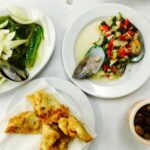 As an appetizer, before the meal or by its own on a warm summer day. Try it in the famous Port Tonic cocktail – pour one part of White or Rosé Port and one part of tonic water in a glass with citrus zest (lemon, lime or orange) and ice. 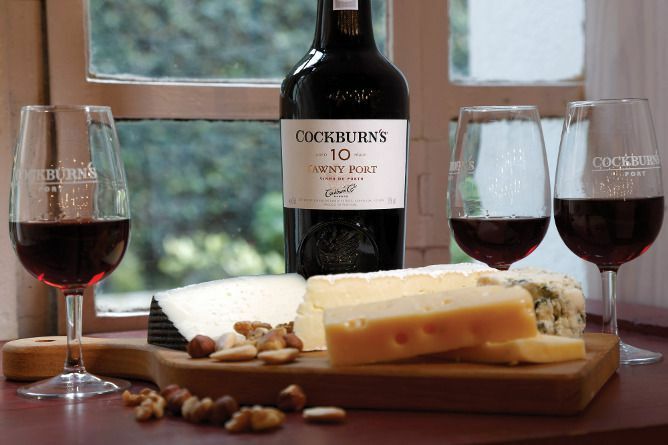 What’s the difference between Tawny Port and Ruby Port? “Tawny” and “Ruby” are the two main categories of red Port wines. They are both made with red grapes, exactly the same way. They only differ according to their ageing process. After the vinification process, Port wine is taken into cellars to age, usually in oak casks, and it’s kept there between 5 to 150 years! Why oak and not some other wood? Because oak has just the right porosity to allow for the very slow oxidation of the wine, and it gives the wine many desirable notes and traits. Their names are a direct reference to their colour. Ruby Ports are distinctively dark red, like the precious stone, and are intended to keep the original properties of a good, albeit sweet, red wine. They are typically aged between 2 to 10 years in big barrels, called vats, that hold around 40.000 liters (10.000 gallons) of wine each. It has very little contact with the wood and almost no oxidation. Tawny Ports, on the other hand, feature an amber translucent colour, comparable to an old whisky. It is named after an amber brown owl called the Tawny Owl. 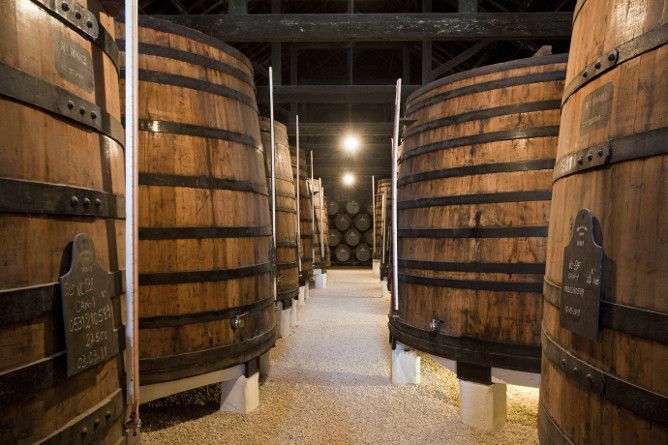 They are typically aged in smaller barrels that hold around 600 liters (160 gallons) of wine each. It gains a lot of oaky and spice notes, and it loses its colour to oxidation. How to drink Tawny and Ruby Ports? Ruby Ports are best appreciated at around 15°C (59°F), for dessert accompanying dark chocolate or strong cheeses. Tawny Ports show their best at around 18°C (64°F) temperature, with custard desserts. The “Tawny Port vs Ruby” dilemma is full of myths and misconceptions. There is, objectively, none better or worse. It’s like “cats vs dogs”, you either prefer one or the other. Or both, why not?! 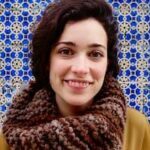 Within the Tawnys and the Rubys there are many subcategories and styles that do no belong in this Free Port Wine Crash Course. But we do need to mention what is considered by most as the highest quality of Port Wine: the Vintage Port. Vintage Port is a subtype of Ruby Port made from the harvest of a single year. “Vintage” can either describe something old, like that thrift store down the street that sells your grandmother’s clothes that became fashionable again, or something exquisite or exceptional, like the 1987 FC Porto football team. A Vintage Port is both of these things. Usually for Tawnies and Rubies, wine made in different years is blended to make a “5 year old” or a “10 year old”. These ages can be seen, more or less, as the average of the wines used in the blend. However, a Vintage Port is not blended. It’s made with the grapes of the year shown on the label. It ages in big barrels for 2 years and then bottled straight away. One more thing: regular Tawnies or Rubies are filtered when bottling, halting the ageing process, but a Vintage is not. Therefore, a Vintage Port is practically the only style of Port that continues its ageing inside the bottle, creating some sediments. Decanting a Vintage is always a good idea. How long is an open bottle of Port wine good for? The rule of thumb to understand this is: the longer a Port wine has been aged in oak, the longer it will keep once a bottle is open. Simple. Although you will never get sick from drinking “spoiled” Port wine, the wine does lose its brightness and flavours with time. You don’t need to be an expert to recognize a spoiled wine: the bitter taste and the oaky nose will immediately let you know. So, a bottle of Tawny Port can safely stay open between 3 to 6 months, being ideal for the occasional after-dinner drinker. 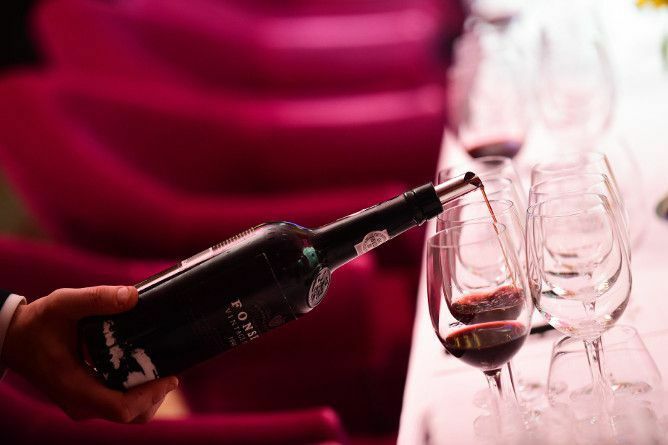 A Ruby Port holds a maximum of 2 months, whereas a Vintage only lasts 1 to 2 days open. Best to make sure you’re really thirsty before popping the cork off a Vintage Port! 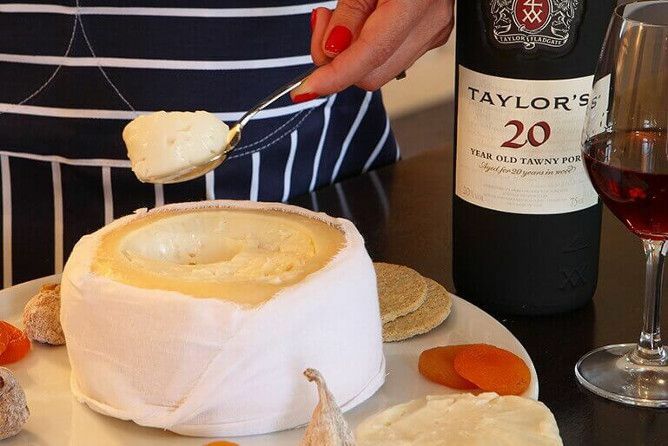 Taylor’s is, simply, one of the biggest of many port wine brands. Several Port companies have fairly famous names, such as Dow’s, Croft, Sandeman, Graham’s Cockburn’s, Kopke, Symington, etc. 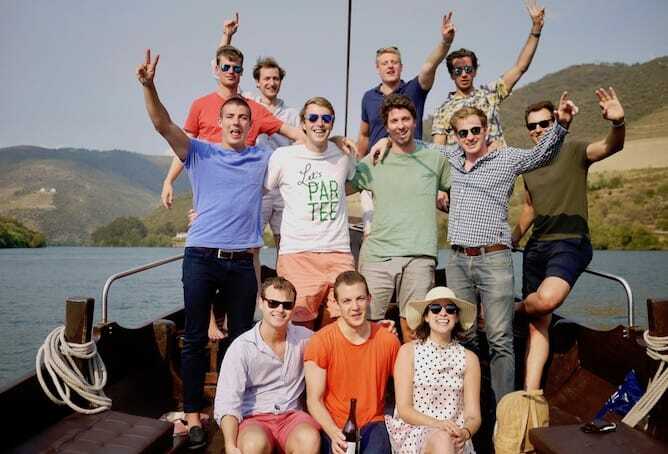 The names are resoundingly British, and the fact is that the first ones to “fortify” the wine in Douro Valley were our Northern comrades, who came over when the French decided to raise the tariffs on their Bordeaux shipped to England. Taylor Port wine company was one amongst many. The biggest Port wine brands have their ageing cellars in Vila Nova de Gaia, and can be visited everyday usually between 10am and 6pm. The normal price of a group tour in a cellar, plus a standard tasting, is €10 to €15 ($11 – $18 USD). More expensive tickets will get you better tastings, but the tour will always be the same group visit. 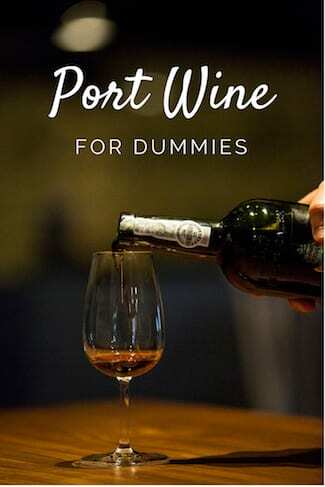 Hopefully this has been a useful introduction to Port wine and to Portuguese wines in general. After knowing the theory, we are waiting for you to come with us for the practical class!